Since January 1, 2014, the monthly minimum wage for employees will increase from VND 1.9 million (US$ 89.3) to VND 2.7 million (US$ 128). The Government has recently issued Decree 182/2013/ND-CP to replace valid Decree 103/2012/ND-CP, dated December 4, 2012. The minimum wage will be applied for four different regions in Viet Nam as follows Region I: VND 2.7 million (US$ 128); Region II: VND 2.4 million (US4 114); Region III: VND 2.1 million (US$ 100) and Region IV: VND 1.9 million (US$ 90). The new salary benchmarks will pick up around VND 250,000 – 350,000 (US$11-16). Employees of local enterprises, foreign agencies, organizations and foreigners will benefit from the monthly wage increase. The Decree also encourages enterprises to pay their employees higher than the region-based minimum wages. The new Decree will take effect on December 31, 2013. 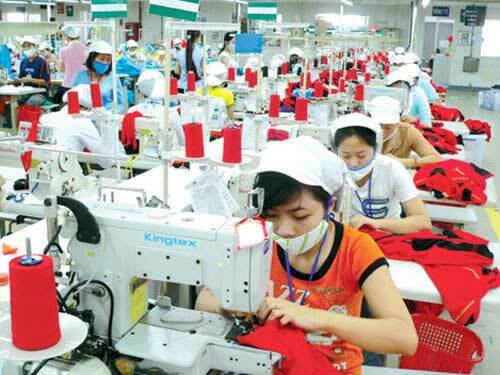 Wages have increased this year though the economy has yet to get out of the woods, but the pace of wage growth is lower than that last year, according to the salary survey of Towers Watson Vietnam. Wages have picked up 11.7% this year, down from the 13.8% rise recorded last year, shows the survey. The manufacturing sector’s salaries are up 12.7%, down by nearly one percentage point from last year. The financial services sector has had the lowest wage growth at only 10% compared to 12.2% last year. Trang Vu, global data services manager at Towers Watson Vietnam, said the 10% wage hike in the financial services sector was calculated based on 22 local and foreign banks, 25 insurers and 13 investment funds and financial companies. Meanwhile, the banking sector alone has seen a 9% spike in wages. Salary increases for next year are forecast at 11.5%, further down from this year. If inflation control remained high on the Government agenda, a significant pay raise for next year would be impossible to happen, according to Trang Vu. If inflation was excluded, the wage rises this year and last are almost the same (at around 4.6%) as inflation has dropped from 9.2% to 7.1% this year. Next year’s salary increase, if inflation is projected at 6.6%, might be 4.9% and Towers Watson’s estimated rise is 11.5%. Compared to other Asian countries, Vietnam and China have the highest wage increases while the lowest is in Japan. This year, Towers Watson is doing a survey of 321 enterprises, with 60 of them in the manufacturing industry, which according to Vu represents a significant pickup. The 12.7% wage surge in the manufacturing sector this year is impressive as the average growth in the market as a whole is lower, she said. However, wages in the manufacturing sector are 29.4% lower than in other sectors and other benefits 30.7% lower. Job losses this year average out at around 9% in the surveyed enterprises while last year’s rate was 12.3%. Unemployment is high in the financial services and pharmaceutical sectors and low in the manufacturing sector. Towers Watson’s wage survey was conducted in May-September. The surveyed companies are active in many sectors like chemical, financial services, fast-moving consumer goods, technology, communications and pharmaceutical.